REIGNS OS JAMES I. AND CHARLES I. As daily come to view: They were not like to mine." This has no burden. It consists of thirteen stanzas. " Printed at London for Thomas Lambert." 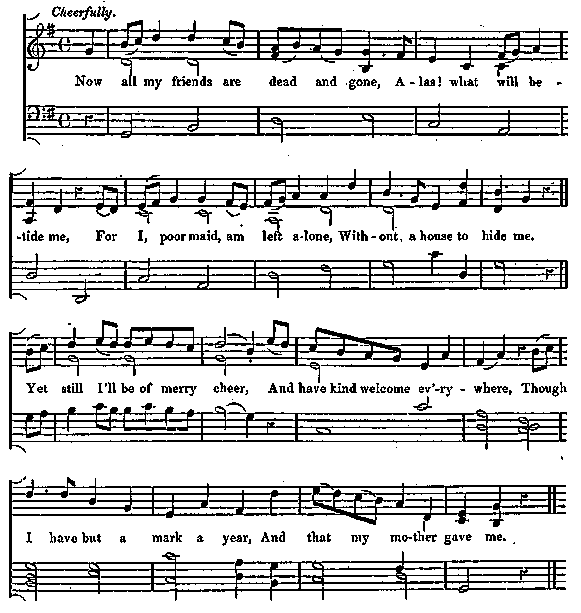 Martin Parker's ballad, " The Countrey Lasse," to the tune of The mother leguild the daughter, has been quoted at p. 306, but it appears also to have had a separate tune, which will be given hereafter.